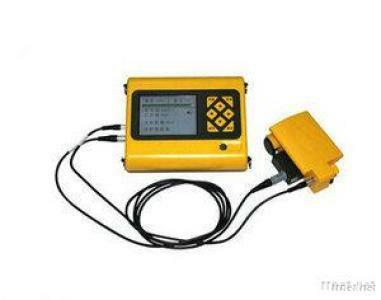 SYR51+ rebar Location system is used to test rebar diameter, distribution, coating thickness in concrete. Longer service life of the Connector Clip: The instrument has long service life because of using Lemo Connector Clip which comes from Swiss and uses for aircraft industry. Good quality of signal cable: The signal cable has long service life because of its flexible and substance. High precision and stability: The instrument can locate the steel-bar accurately and quickly. Single sensor: No-change sensor in test, switching between high and low test range can assure the precision of test data and the test depth. Display test information real-time: Display the test data directly to avoid man-made errors. Grid and section scan mode: Instrument can display steel bar distribution and scan steel bar without concrete boundary limited. Three-wheel steel-bar scan system: The system can assure scan path along line and the precision of test data. Powerful Windows data process and analysis software: Software can display analysis result by diagram. Test data can be export to word or Excel easily. Tools, Measurement & Analysis Instruments, Physical Measuring Instruments, Physical Measuring Instruments/n.e.s.